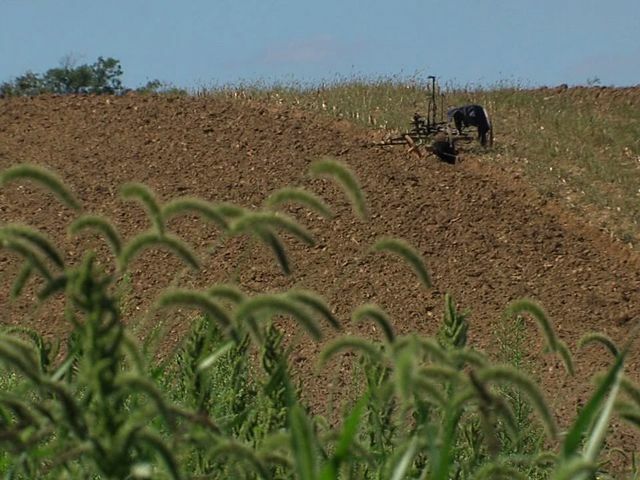 A 17-year-old Amish boy was shot in the head while plowing a field Thursday morning in Kidron. The Wayne County Sheriff's Department reports John Hershberger was struck with a .22 caliber bullet just after 9 a.m.
Investigators said it's possible the stray bullet was fired by someone hunting squirrels and it just happened to come down on top of John's head. "The odds of this happening are one in a million," said Captain Doug Hunter. John was using a horse-drawn plow when he felt something strike him in the head. He noticed he was bleeding and walked to his home to tell his father about the injury. The Amish family does not have a phone so they went next door where a neighbor dialed 911. John was taken to Aultman Hospital in Canton and X-Rays showed the bullet lodged in his head, Hunter said. The bullet was removed Thursday afternoon and the boy was released from the hospital. Investigators have not been able to determine who fired the gun and have not found any witnesses who heard a gunshot. If located, the person could face charges related to illegally discharging a firearm.